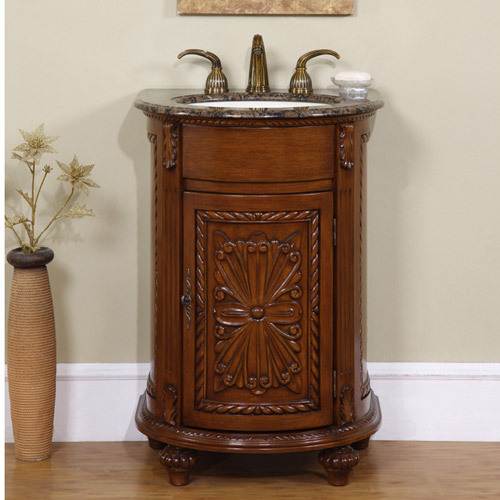 The Amandola Single Bath Vanity is a charming addition to any bathroom with its antique brass hardware and hand carved details. The cherry finish is hand painted, which ensures that your vanity is unique and made just for you. 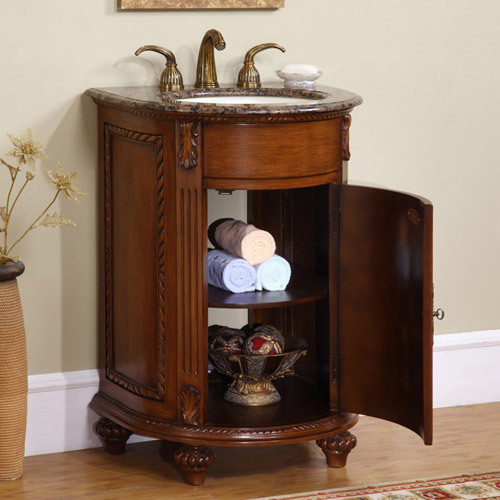 This vanity also features a single door with shelves for storage. The Baltic brown granite top is pre-drilled for a standard 8" widespread three-hole faucet setup. It also includes an under mount ivory ceramic sink. If you are looking for a small bathroom vanity with a lot of character, the Amandola has a lot to offer.